Quickly browse Longboat Key, FL. neighborhoods below. Just click on a neighborhood photo or title to view the current homes for sale, and also learn much more about that particular community. Twin Shores Homes For Sale | Longboat Key Fl. Amenities: Shuffleboard, Bingo, Card Games at recreational center, across the road is pristine beach. For the boating enthusiasts slips are available for a nominal fee at the Marina (on a first come first served basis), laundry facilities. Maintenance Includes: Ground Maintenance, Recreational Facilities, Trash Removal, Water/Sewer. Weston Pointe Homes For Sale | Longboat Key Fl. Amenities: Boat Slip, Card Entry, Gated Community, Security, Water Access. Maintenance Includes: Common area maintenance. Reclinata Homes For Sale | Longboat Key Fl. Amenities: Boat Slip, Deed Restrictions, Dock, Fishing Pier, Water Access, Waterfront Complex. Maintenance Includes: Deeded Beach Access. Longboat Shores Homes For Sale | Longboat Key Fl. 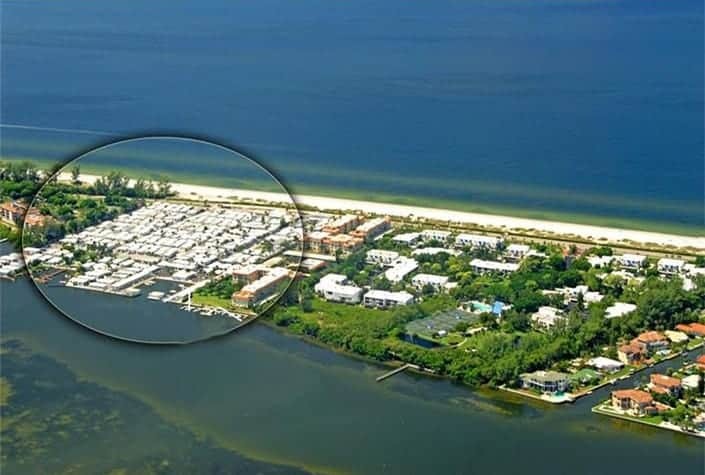 Amenities: Community boat ramp, Dock, Fishing Pier, Water Access, Waterfront Complex. Maintenance Includes: Maintenance/Repairs, Private Road. Longboat Key Estates Homes For Sale | Longboat Key Fl. Amenities: Community deeded beach tiki hut. On the Bay, a community deeded pier, Fishing Pier, Water Access, Waterfront Complex. Lands End Homes For Sale | Longboat Key Fl. Amenities: Dock, Fishing Pier, Gated Community, Maintenance Free, Tennis Courts, Water Access, Two large piers accommodate community boat slips, first come first serve. Maintenance Includes: Community Pool, Escrow Reserves Fund, Ground Maintenance, Tennis Courts, Trash Removal. Harbour Court Homes For Sale | Longboat Key Fl. Amenities: Behind the gates of Bay Isles, Tennis, waterfront complex, manicured grounds of the Longboat Key Club’s Harbourside. Bay front, private beach in the Bay Isles Beach Club. Maintenance Includes: Building Exterior, Community Pool, Escrow Reserves Fund, Flood Insurance, Ground Maintenance, Insurance Building, Roof, Tennis Courts . Gulfshore Of Longboat Key Homes For Sale | Longboat Key Fl. Amenities: Pool, Clubhouse, 55+ Community. Maintenance Includes: Grounds maintenance, clubhouse, and pool. Water Views: Some have harbor views. Emerald Pointe Homes For Sale | Longboat Key Fl. Amenities: Deeded beach access to Bay Isles Beach Club, Gated, Golf Community, Tennis Courts, Waterfront Complex. Maintenance Includes: Escrow Reserves Fund, Ground Maintenance, Manager, Private Road, Public Insurance, Roof. Water Views: Deed beach access to Bay Isles Beach Club.